Bio: Kit Gentry was born in Kalamazoo, Michigan in 1969, but lived for 16 years in Hawaii. Kit took to drawing at an early age, and never quit. 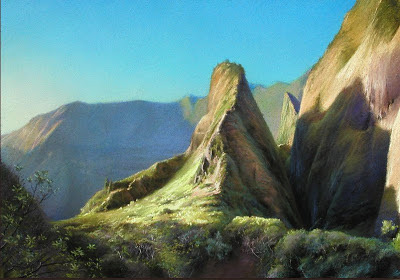 He graduated with a BFA from University of Michigan in 1991, moved to Hawaii two years later and worked as a night security guard while painting during the day. A fortuitous meeting with artist Jan Kasprzycki got him an introduction to the Village Gallery on Maui, and by 2000 he was living on his art. After 16 years of island life Kit moved to the Great Smoky Mountains of Tennessee, where he now lives and paints. 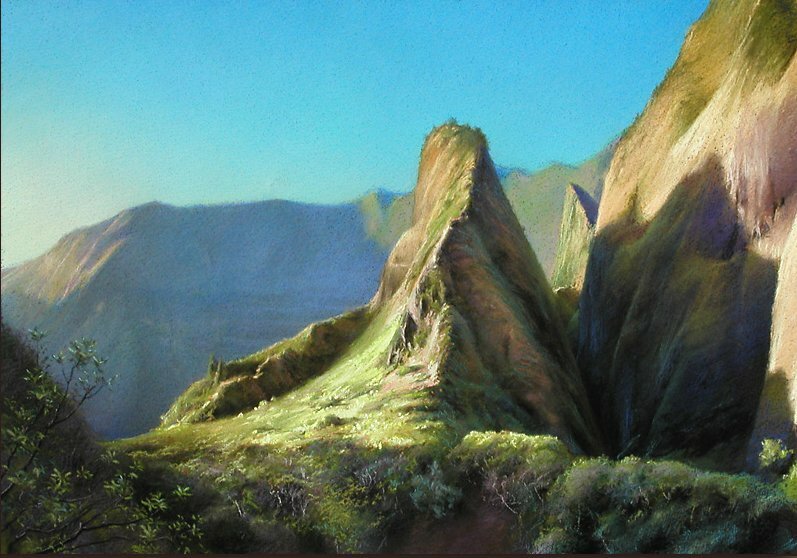 Kit’s work is in private collections, and also in the Hawaii State Foundation on Culture and the Arts. He was featured in a 10-page article in the June/July 2012 issue of International Artist magazine. Medium: Pastel, oil. Kit is quite specific about his working procedure – there is no point in my repeating it here as all is revealed on the website. Suffice it to say that he prefers to work on darkened paper, and mixes his colours by cross-hatching layer upon layer, never uses fixative, and prefers Sennelier pastels to other brands, especially for their range of darks. He also prepares his own supports. Navigation: Not all pages have links to the whole of the site. At times you need the back button. However, the site is very interesting, with a fund of information, including detailed step-by-step close-ups of his process. Gallery: Oils; Pastels; Drawings; Portraits; Photographs, Early work. See also Latest Additions. Demo/Blog: Not labelled as such, but there is a wealth of information on the site. The What’s New page has some aspect of a blog in that it charts updates to the site.